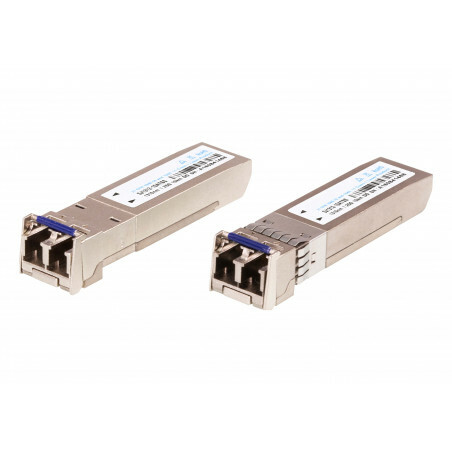 TRENDNet TPE-T80 8-Port 30 Watt 10/100Mbps PoE+ Switch (240W) - Fil-Nippon Technology Supply, Inc.
TRENDnet’s 8-Port 30 Watt 10/100Mbps PoE+ Switch, model TPE-T80, reduces equipment and installation costs by delivering data and power over existing Ethernet cables. 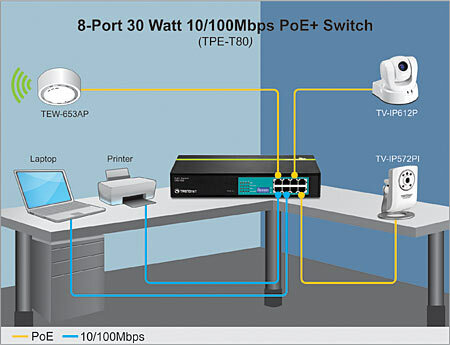 The IEEE 802.3at PoE+ standard supplies up to 30 watts of power per port for devices such as high power wireless access points, PTZ (Pan Tilt Zoom) Network Cameras, and VoIP telephony systems. Auto sensing technology delivers up to 30 watts to 802.3at PoE+, 15 watts to 802.3af PoE, and only data to non-PoE devices. GREENnet technology reduces energy costs by up to 75% when the switch is not in use. Boost office efficiency and reduce network congestion with a total switching capacity of 1.6Gbps. LED indicators display device status for easy power management and troubleshooting. An internal power supply reduces clutter and DIP switches on the front panel allow managers to manually cut PoE power to a given port. Use this switch with TRENDnet PoE Splitters to install non-PoE devices in remote locations.